The Hillsborough inquests jury were told they must consider why certain changes weren’t made to the stadium before the disaster at the 1989 FA Cup semi-final. 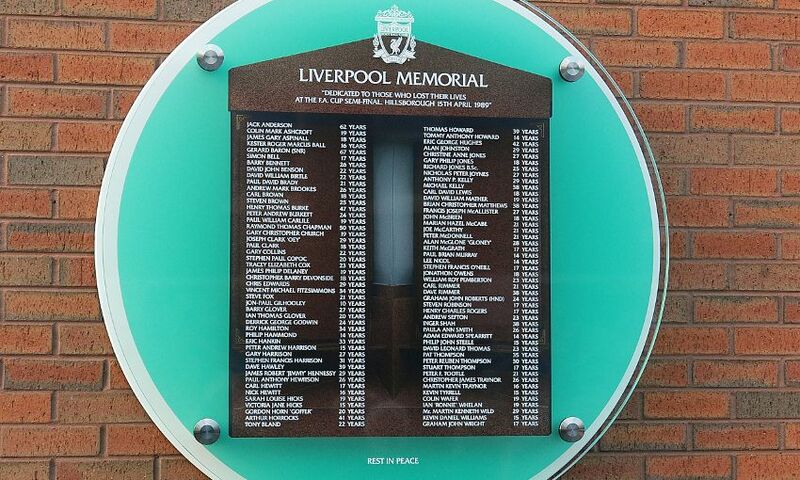 Coroner Sir John Goldring continued his summing up of the inquests into 96 deaths for a second day and reminded the jury of the evidence they heard in 2014 about stadium safety. The court, in Birchwood Park, Warrington, heard various changes were made to the ground after it was given a safety certificate in 1979, including the introduction of radial fences to create pens in the Leppings Lane terraces. The coroner told the jury: “As you will remember, 1985 was an important year. “Changes were made to the layout of the west terrace, which included adding two new radial fences. “Changes were also made to the entrance area at the Leppings Lane end of the ground. The court heard proposals to create designated entrances for each pen, allowing the numbers entering to be monitored, never went ahead. Sir John said: “You will need to ask yourselves why they were not adopted. The jury was taken through the terms and conditions of the safety certificate which was issued to the club. The certificate stated that the club should have an annual inspection done by a qualified chartered engineer and then send a certificate to the county council. The coroner told the court: “In most years Eastwood’s apparently carried out the inspection and testing and issued the certificate. “However in 1986 and 1987, they did not produce a certificate at all and the club did not, therefore, provide a certificate to the council. “In 1988 they produced a certificate but the club did not supply it to the council. The certificate also stated that no alterations should be made to the ground unless prior notice was given to the council. It recorded the capacity for the West Terrace and North West Terrace of the ground as 10,100. The court heard that the capacity figure was not changed after the first radial fences were installed on the Leppings Lane terrace in 1981. But the coroner reminded the jury that structural engineering expert John Cutlack had told the court it should have been recalculated. John Strange, an engineer who worked for Eastwood and Partners in the 1980s, had said in evidence that he did not believe any adjustment needed to be made following the work. The coroner said: “Mr Cutlack, later, just to remind you, calculated that a reduction in capacity of a little under 100 should have been made. The coroner told the jury that on August 9, 1984, the officer working party, which oversaw the ground’s safety certificate, had a meeting in which they discussed updating the plans which made up part of the certificate. On September 13, 1984 Dr Wilfred Eastwood, of Eastwood and Partners, spoke to club secretary Richard Chester and said Mr Strange would update the plans if Mr Chester wished. The coroner said: “In the event, the drawings were not updated. “Mr Chester was asked about this when he gave evidence. 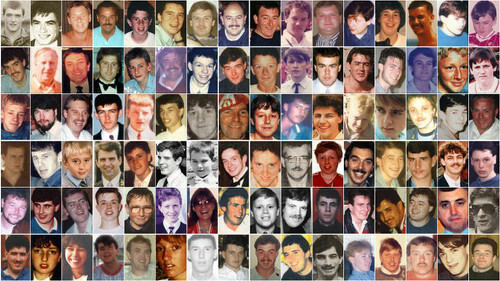 The coroner in the Hillsborough inquests reminded the jury of a crushing incident which happened eight years before the disaster. As he continued his summing up, Sir John Goldring reminded the court of the evidence heard about the crush which injured 38 people at the FA Cup semi-final in 1981. Tottenham Hotspur fans were given the Leppings Lane end for the match against Wolverhampton Wanderers. Sir John said: “At the start of the match, there was a crushing incident in the south-west area of the Leppings Lane terrace. “Of course, at that time, it was an open terrace without the radial fences. “It occurred some four or five minutes into the match. Two gates in the pitch perimeter fence were opened to allow fans out. One of the gates was opened by Roger Greenwood - who was one of the match commanders on the day of the Hillsborough disaster. But the coroner told the court that structural engineer John Strange remembered nothing about the match, despite being at the ground on the day. Former club secretary Richard Chester and retired police superintendent Terence Stuart, head of South Yorkshire Police operations division from 1985, knew nothing of the incident and fire service witnesses were also unaware of it. The court heard that following the crush the police raised concerns about whether the capacity figure of 10,100 for the Leppings Lane standing areas was too high, but the suggestion was refuted by the club. Click here to read a full transcript from January 26.